Bukhara, Uzbekistan - 05 August 2015: Poi Kalon Architectural Ensemble, Located At The Foot Of The Kalyan Minaret. The Complex Consists Of Three Buildings Constructed In XII - XVI Centuries. Фотография, картинки, изображения и сток-фотография без роялти. Image 62936034. 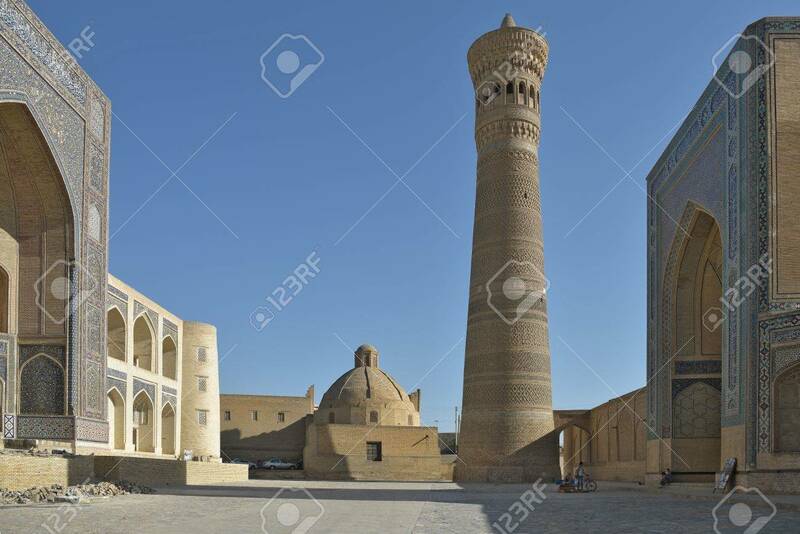 Фото со стока - Bukhara, Uzbekistan - 05 August 2015: Poi Kalon architectural ensemble, located at the foot of the Kalyan minaret. The complex consists of three buildings constructed in XII - XVI centuries. Bukhara, Uzbekistan - 05 August 2015: Poi Kalon architectural ensemble, located at the foot of the Kalyan minaret. The complex consists of three buildings constructed in XII - XVI centuries.